This offseason is going to be lucrative for Bryce Harper. The 26-year-old All-Star is one of 164 free agents on the market, but he's going to make more than anyone else available. Just how big his contract will be remains to be seen; however, he's already turned down a massive deal. Harper rejected a 10-year offer worth $300 million from the Nationals late this past season. 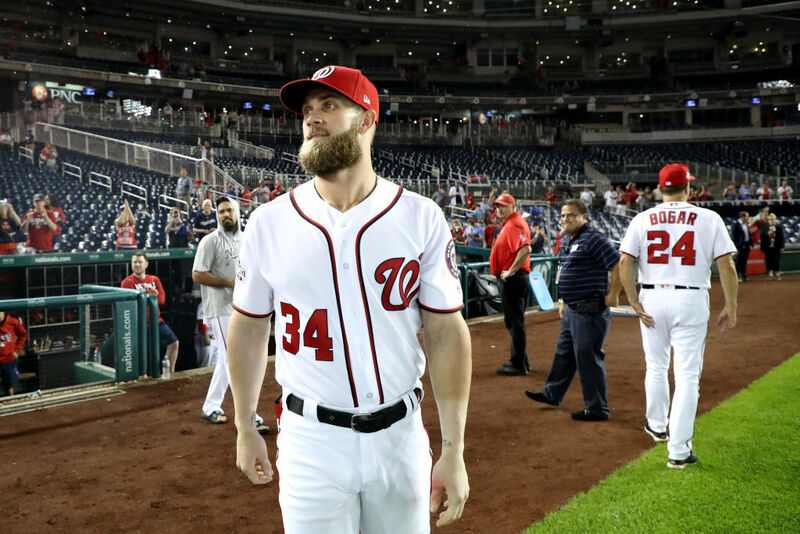 The Nationals wanted to lock up their star, but Harper felt $30 million per year for the next decade wasn't enough money. He's looking to land something worth $400 million, which would be the richest baseball contract ever, by far. Wherever Harper ends up, we know there's one place he won't land: New York. A source close to Harper's situation said: "he's not going to be a Yankee." We may not find out anything in the next couple of weeks, either. Harper's agent, Scott Boras, has a history of extending contract talks with his free agent players beyond the holiday season. Boras also has Max Scherzer and Stephen Strasburg as clients. Congratulations to Bryce Harper for signing a massive contract that should keep him financially set for the rest of his life. Still, it's not nearly as impressive as the deal Bobby Bonilla agreed to, 20 years ago. Bryce Harper has finally decided on where he'll play next year – and for the dozen years after that. Along the way, he'll make more from one contract than any player ever has before him. Is Bryce Harper Announcing Where He'll Sign Via A Video Game? Bryce Harper is set to sign a massive contract this offseason. And he's planning to promote the move via a video game.